Basically I want bases for these characters. I don't tend to have money to use scrap parts so I use a base and then sculpt over it where I can. So getting something as close as possible is ideal. I'm going for the X-men V4 version, most likely, as it's probably the simplest and still fairly recognisable. My favourite costume of hers is definitely her later X-Factor outfit though. I'm guessing a Kitty Pride figure will work. I like most versions of blink that are out there. I guess the main thing is the pink hair and eye details. This will probably require a lot of custom work. This would probably the be easiest costume. I like the movie version tbh but any version is great. Also looking for bling and a few others. Looking to get bases as cheap as I can. Looking for: JLU Big Barda. YJ Martian Manhunter & Miss Martin. Drop me a PM! Monet - Potentially I'd suggest leaning on the ROC impact armor scarlett since she has the arm armor you need, but the torso and lower arms don't quite fit. The upper torso might work though as it'd give you that collar style. Gamora with some new lower arms from the X-23 body type series with the swivel elbows might be better. Then any hand style you choose since that swivel arm has wrists. If you want the more gloved style hands, and a variety of hand choices, I'd almost say go for the Oretoku/Daretoku hands and they are pretty much 3-4 dollar figures if you can find them relatively new. Blink - Tough choice here, but if you want to go more movie style, potentially look into finding a Kim Arashikage style robe figure that has different sleaves, or the ROC Scarlett. Or if you want to go more AoA, maybe an emma Frost figure base or Storm. Finding that right type of piece for the lower dress is the main issue, but Mystique or similar might be a good use there. Maybe the cloak from the Toy Biz Ninja wars Psylocke. A quiver from Lady Jay could work too since the early AOA one did have something like that for her crystals. But later versions removed that aspect. Likely whatever you find for Mantis could work for a movie styled Blink, their outfits are pretty close on movie versions. Pixie - Recommend ROC Impact Armor scarlett here. And Wraith gauntlets. If you switch the gauntlets so the elbow wide piece is towards the wrist, and the gauntlet wrist is towards the elbow, you can cut the elbow covering inner side with a nail clipper and it looks pretty darn close to that glove style. Or you can go more simple and paint the ROC glove spots to yellow. I have an X-23 custom in that uniform that shows the potential. The added perk to GI Joe basis is the peg hole back. So if you want to use lego butterfly wings from their fairy line you can, or tinkerbell wings, or even other wing types. The peg hole back styles though make it easier to attach them. But you could also potentially use the MU Wasp for this too since she has wings already. You can probably use X-Force X-23's belt for her. Personally, I used a yellow paint trim on my X-23 graduation suit, so it had an X in the belt spot without having to use an accessory. RoC scarlett, Serpentor lower legs, Renegades Scarlett/Retaliation Lady jay upper legs. If you look at my X-23 example in the customs forum, you'll see why you should switch the upper legs. The Lady Jay/Renegades Scarlett has the no gear pants leg for that clearner look, I went with the padding style though since I didn't have extras of those to use. Serpentors boots give you that bigger boot style they use though and once painted yellow with black soles, they match the shoes perfectly. If you thick coat the yellow on the torso, you can hide the details of the armor padding, but don't thick coat the boots. I made that mistake and they would have looked better with a thinner coating. Shuri Black Panther - Black Panther head. Take your pick if you want movie style or comic style. Then I'd recommend the X-23 style buck series with the swivel elbows(also has neck tilt!) but then other use Comic Panther's hands or movie series arms. Black Cat is a good choice too for a base body or arms/legs since they have the fur. Or if you get the Toy Biz Illyana with removable armor, she has removable fur cuffs you can trim to fit. You could possibly use Kim Arashikage lower arms or lower legs here too if you want that more bandaged leg approach. Personally, I'd recommend movie panther head, X-23 buck style, then some new legs. Maybe the Renegades scarlett style and use movie panther feet. The hands are good with Black Cat lower arms, but GI Joe does have some hand types that can work too and up articulation. If you're using movie style panther head though, movie styled arms have the better decorative pieces and fit a nice cross blend of movie to comic for tech meets tradition. A simpler recipe would be Ms. Marvel torso, Comic panther head, comic panther hands and feet, then Target 2 pack panther cape and spear or single carded storm cape. Your choice on hands that can hold the spear, but you may want at least one clawed hand from the comic single packed panther. 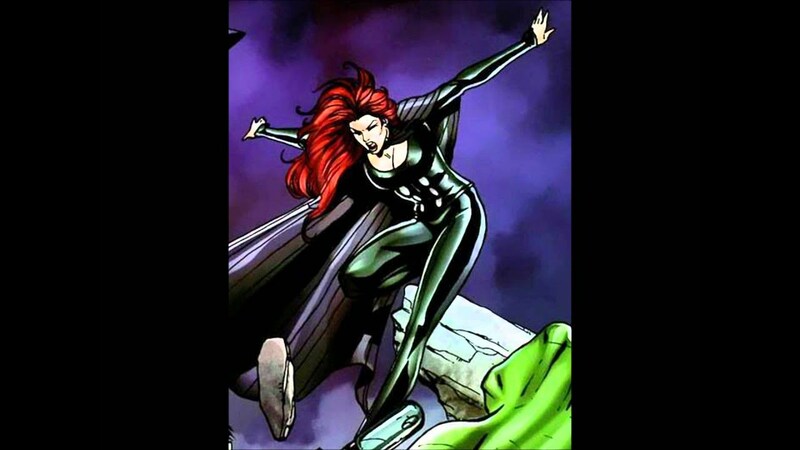 Siryn - Storm or Emma Frost have the basic body. I'd lean on Emma frost for the updated articulation, but then use 5-pack Storm's wrist cape for the wing pieces. Head is a question though. Potentially find a head you like that has removable hair, and maybe use the Ms. Marvel long hair since it's a secondary piece you can swap. Or you can use a ponytail style from Lady Jaye or Scarlett, but Joe Heads don't fit on MU/MI bodies. Though they do work on BW's movie body. She's GI Joe compatible. The other MU/MI aren't. If you use the X-23/Emma style base though, they have neck tilt which is needed for a flight character. So I'd lean there and paint the costume details. Something that doesn't have heels would be better for the feet though. Maybe the RoC scarlett lower legs with the renegade scarlet/Retaliation lady jay upper legs so you can ditch the Emma heels. Mantis - No clue, but you can likely find something in the YoJoe Archive that might work. Main problem is finding body styles that match what you need to upper arms though. I'd lean on a recipe similar to movie style Blink though. But I'm also really heavy on using that ROC scarlett mold for things since there aren't that many body armored female figures on market like it to draw on. But the right splash of color on it in unique ways really makes it pop with variety even if it's the same sculpt. When I start part hunting, I usually use yojoe's archive to find a recipe and then build from that if the basic MU body styles don't fit my needs. Personally, I typically lean on GI Joe body styles because the peg back helps tons with part additions or other tweaks. And there's a lego/brick peg plate on shapeways that can help with some additions if you want to go that route. Makes/allows for some great addtions like doc ock style arms or various wing types. So you can get some nice various wing styles from the lego parts site, and it's generally only 3-5 pieces to make the bracket to hold them in place and secure it while still giving you various flapping wing articulation depending on how you do it. I've got some experiments with those over in the customs forum under "Kre-O tech" and you can find my other customs examples under the custom area if you search my name. Should be only under 3 topics at most. I tried to keep mine condensed for easy searching. Oretoke/Daretoku is a Japanese little robot, but it has compatible hands to GI Joe/Marvel 4''. They have open hands, closed hands, and grip hands. So you have to check which release has what for what you need. They are fun little capsule toys though, and the armor can come in handy for customs depending on what you get. The head types over some variety too, but the ball joint they use is smaller than most body styles use. A little heat can change that though. They are made of a material that's really susceptible to extreme heat, but it also makes them really durable too with how it's a more rubbery plastic. Shodo (short for "Showdown") is another Japanese line that does Dragonball and Kamen Rider right now, with Ultraman too and possibly later Sentai, each figure comes with extra hands though, so you could probably get some extra material from that too. They vary in price, but a singular figure usually isn't more than 8 usd if you shop smart. Kamen Rider and Dragonball might have some of the extra accessory or hand styles you might need too. The sculpted hands do offer wide detail types. There's also motion revive series that has extra hands/glove types, but they're harder to find nowadays. Shodo was the follow up line to those because MRS were too pricey to produce anymore. Original MRS was roughly as much articulation as 2000s Takara Microman but made more durable. So they had to tone it back as costs increased to make it more cost efficient to keep the price point. Not asked for but for anyone else that wants ideas: AOS Yoyo with her prosthetic arms can be done from Lanard's Corps Elite Puma/Snakebite, preferably Puma as it has the better hair for it. Then use GI Joe BAT lower arms. If you paint the armor SHIELD blue, the shirt whatever color you want and the gloves whatever you want, the pants as jeans or black or use Snakebite style grey, you have a good casual AOS combat armor type look that can be done relatively cheap. (Cobra BATs are usually pretty cheap to come by because of how abundant they were.) The Lanard Snakebite/Puma figures are relatively cheap and work great for SHIELD customs, especially since they are compatible to GI Joe heads. Right now 4'' base bodies are getting pricier though as the market has been drying up on normal releases. The cheapest you might find is the Gamora figure since she has a triple release(5 pack, comic 2 pack, single carded), but her body may only be good for Monet and you might have to swap the lower arms for something with wrists. She is a fun base body though for some projects like an All-New X-Men X-23 costume(the yellow/blue dyed hair streaks one). Until Lanard releases a plain figure without much sculpted in details, you're kind of limited because of how much prices are spiking on other releases. It's rare to find any female figures of GI Joe or Marvel for under 20USD. Most are at 30usd. You might be able to get the Lanard ones to work for now if you're willing to spend the time to sand down the lower torso gear back to flat. But they're also limited to more combat armored types than basic costumes. Last edited by Snowflakian; 05-09-2018 at 07:10 PM.. The upcoming Gamerverse 2 packs has another female figure rerelease. The Black Widow MCU body style that's compatible to GI Joe heads. The Enchantress/Skurge 2 pack is pretty cheap now though at Toys R Us and many places seem to have a ton of them in stock. Enchantress would need new lower arms though and a new head. But as base figures go, she has most of the modern articulation except wrist swivel, and the swivel elbows make her lower arms easier to replace. And her body style is MU figure head compatible. Also, for Pixie, look for the Dinosaur Trainer Owen figure. The training gloves he comes with would be perfect for Pixie or other Academy X yellow and black solid suits. They'll fit on many GI joe styles too. So that'll make it cheaper to get ahold of gauntlets for her instead of GI Joe Wraith figures. Serpentor lower legs are still the best choice for those boots though. Probably the Renegades Scarlet/Retaliation Lady Jay upper legs. Then whatever body style you want. Wasp is a good choice for neck tilt, but doesn't have arm swivel. She does have the easier potential for wing additions though. Personally I still lean on GI Joe for the peg back style, but really anything can be used since the holes to add wings aren't hard to do. I was relooking over black cat the other day. She's perfect for Shuri on the legs and lower arms. Otherwise, you may as well use Vortious Customs to make a base figure tbh. Though that means hand painting the faces. Last edited by Snowflakian; 05-31-2018 at 11:03 PM..
Getting back into customs. Looking into getting a Drax or Absorbing Man for a Gentle/Nezno custom, I think it could be a really cool and fun custom to try. Thinking a Black Widow maybe for Monet, maybe a Wasp for Pixie. I need the second pair of wings tho, I hate that they didn't have them with the MU wasp.